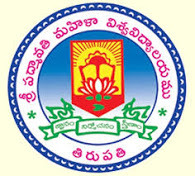 Sri Padmavati Mahila Visvavidyalayam, Tirupati, will conduct Interviews in the departments mentioned below, in the Nandamuri Taraka Rama Rao Bhavan of the University for temporary appointment of (i) Professors, Associate Professors, Assistant Professors (Senior/Junior) in the School of Engineering & Technology; (ii) Associate Professor, Assistant Professors, Clinical Instructor/Lecturers, Tutors in the College of Nursing; (iii) Assistant Professor/Academic Consultants in various Departments of Social Sciences & Sciences and (iv) Technical Assistants / Systems Operators/Media Production Specialist, on contract basis for the academic year 2018-19. The eligible candidates must submit their application along with the Demand Draft to the University, through post/courier only on or before 21-05-2018, by downloading the application from the University Website. The candidates who do not submit their application by post on or before 21-05-2018, will not be considered for interview. The candidates compulsorily should possess the prescribed qualification as on the date for submission of application. The candidates who apply without having prescribed qualifications will not be allowed for interview. Further, Registration fee of Rs.500/- should be paid through Demand Draft drawn in favour of “The Registrar, SPMVV” payable at Tirupati. The candidates are required to bring a copy of their complete bio-data along with original Marks lists, Provisional Certificate / Degree certificate, Caste Certificate and Testimonials if any, at the time of interview. Preference will be given to women and also candidates having teaching/research experience. All the candidates who submit their application by 21-05-2018 and possess the prescribed qualifications, can attend the interview at the scheduled time, by arriving at least one hour before, for verification of certificates. No TA/DA will be paid. The University reserves the right to fill nor not to fill any or all of the above posts and to relax specializations, if necessary. The interview schedule will be placed in the University website on 25-05-2018.